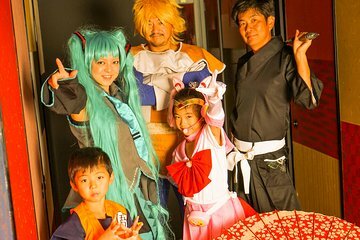 Get lost in the world of cosplay while in Osaka. Choose one costume with two backgrounds and get your photo taken while wearing the costume. There are nine different booths, all with different backgrounds, to have your photo taken! When it is all over, have the photos printed out or sent to you. This is the ultimate experience for any anime fan.